This National Film Unit promotional film begins at the Aratiatia rapids on the Waikato River and heads on up to Lake Taupō, where it chucks on the waders and casts into the waters of the volcanic crater lake, to extol the virtues of fishing for rainbow trout. 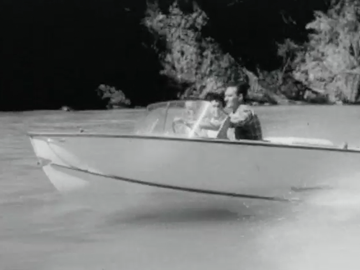 The narration is firmly of its time: “Here’s one man’s idea of the complete angler: complete with radio and pretty girl. 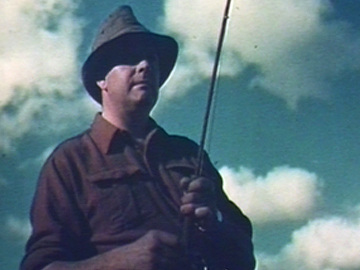 Maybe the fish won’t bite, but he’s planned a good day whatever line he uses.” Lake Taupō - Paradise for Fishermen was the NFU’s first production to be shot on 35mm colour film (specifically 35mm Ansco Colour). 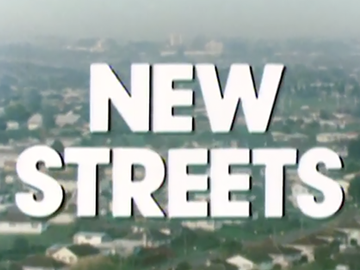 This award-winning short film explores Te Waikoropupū Springs. The springs fully live up to New Zealand’s 100% Pure brand, with some of the clearest water known (a 1993 study measured visibility to 63 metres). After visiting the springs' ‘dancing sands’, three divers take a down river run: going with the flow of the 14,000 litres per second discharged from the springs (here the classical score funks up the tempo). One of the divers was sound recordist Kit Rollings. The waters are now closed off, to preserve their purity. The NFU short played in cinemas with Return of the Pink Panther.